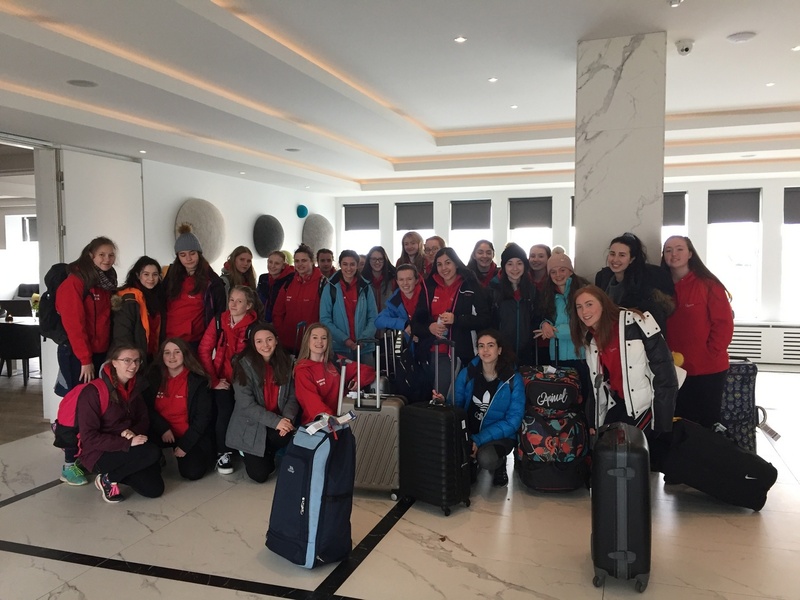 During the first week of the Easter holidays, a group of 30 girls and four members of staff made the journey to Iceland. 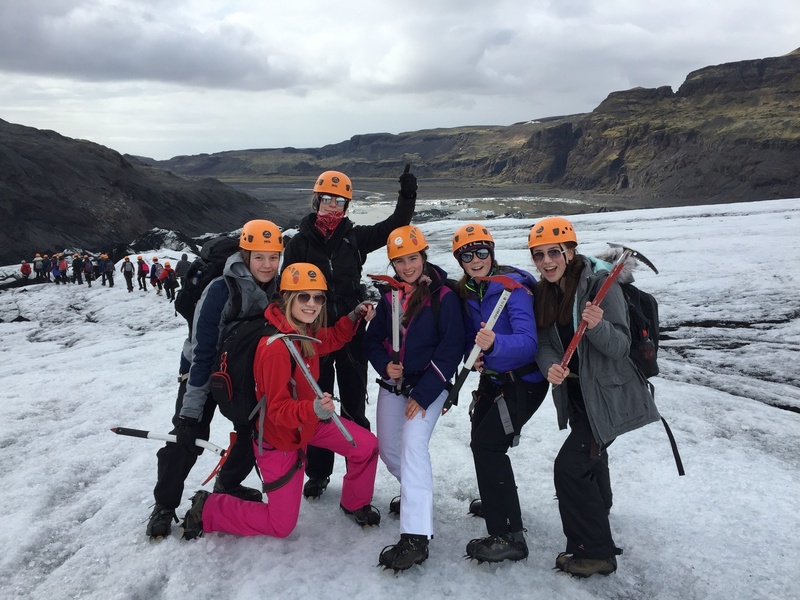 Famed for its dramatic volcanic landscapes and array of natural wonders, Iceland really is a geographer’s dream destination. 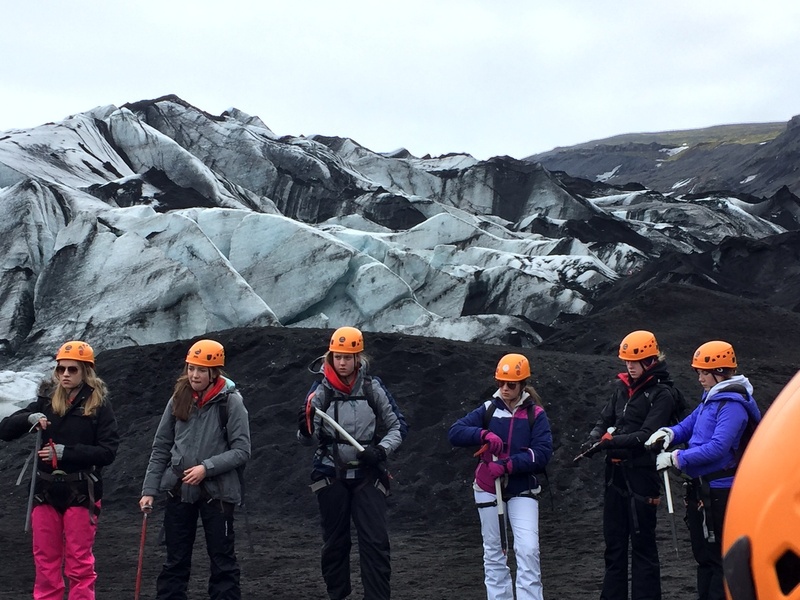 Upon arriving in Iceland, the group was taken for a sightseeing tour of Reykjavík. 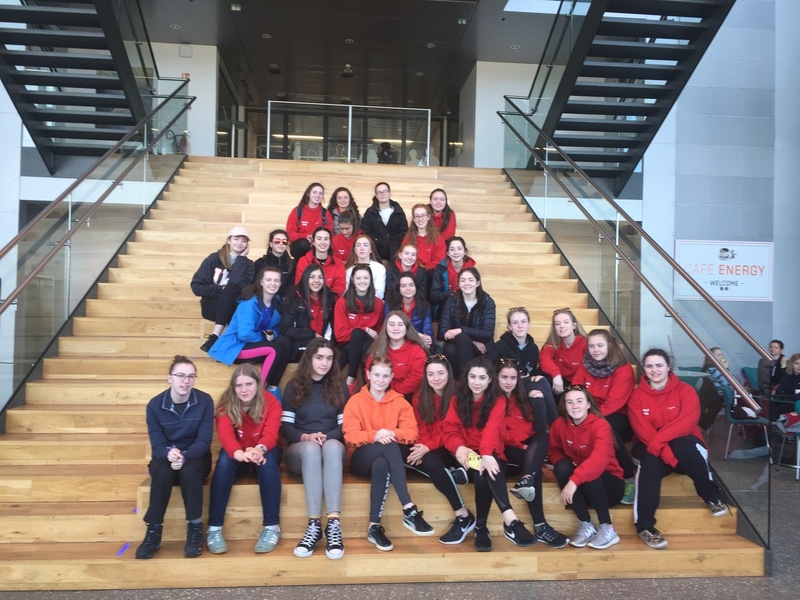 The girls visited the Pearlan Centre, with its six enormous tanks, each containing four million litres of geothermally heated water which provides much of the city with hot water. It was then on to Hallgrímskirkja church which is Reykjavík's main landmark. 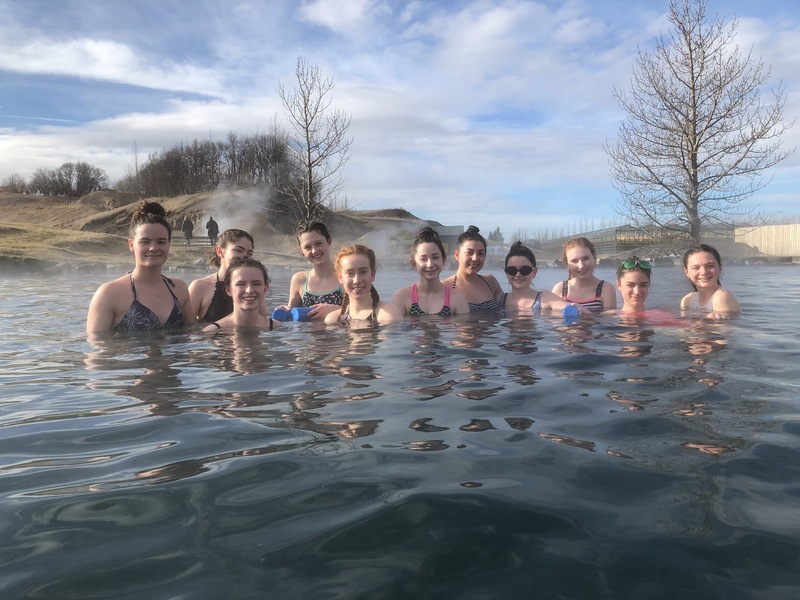 Day two started with a relaxing dip in the hot spring waters of the Secret Lagoon, located in the small village of Flúðir. 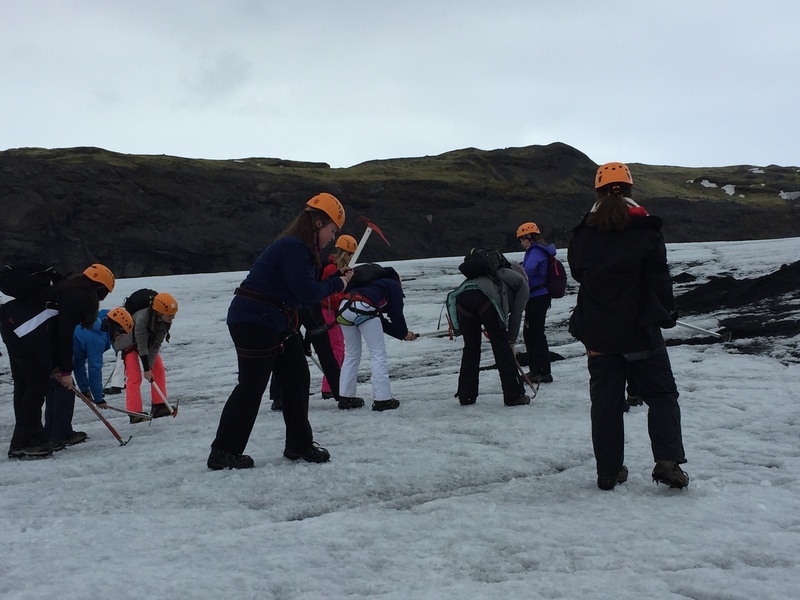 The afternoon included a tour of Iceland’s Golden Circle which takes in three of the country’s most iconic sites: Þingvellir National Park, Geysir and Gullfoss. 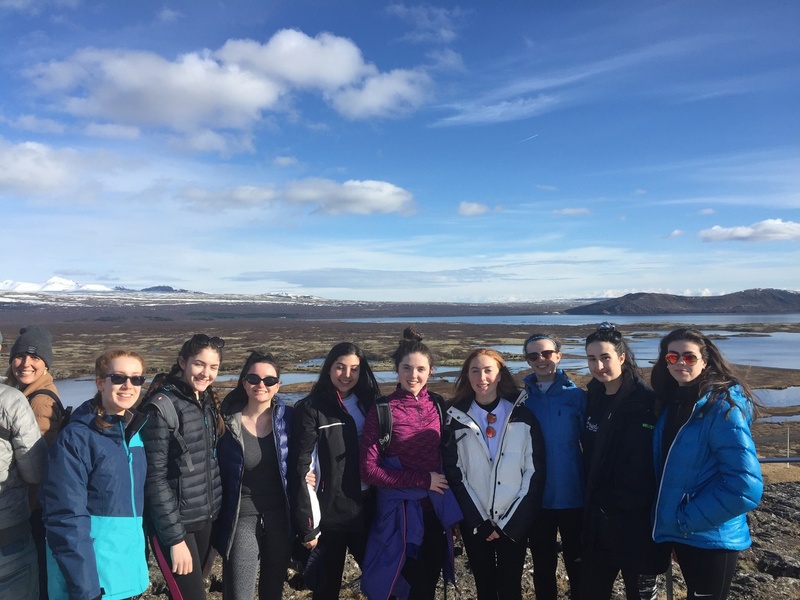 Þingvellir is home to the world's longest running Parliament, first established in 930 AD, and also has a dramatic landscape formed as a result of sitting along the border between the North American and Eurasian tectonic plates. This was followed by a visit to the Haukadalur Valley to see the spectacular Strokkur Geyser which erupts every 8-10 minutes. The day finished with a visit to Gullfoss waterfall where the powerful, glacially fed Hvita River plummets 32 metres, over two tiers, down into its gorge with walls that reach up to 70 metres high. 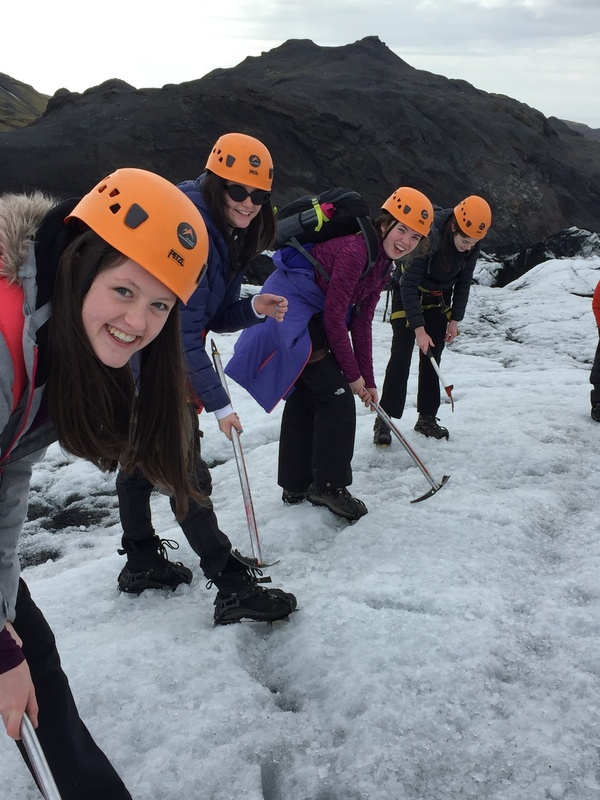 Day three crammed in a drive along the south coast of Iceland, stopping at Seljalandsfoss waterfall and Skógafoss waterfall, as well as a visit to Reynisfjara, a black volcanic beach with its dramatic basalt columns rising up from the shore. 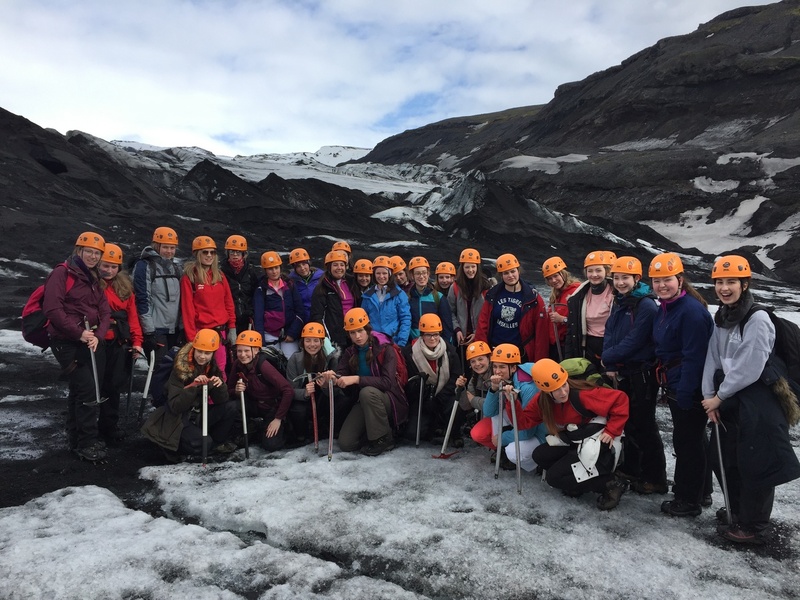 The highlight of the day was taking part in a glacier walk and seeing first-hand how the Solheimajokull glacier is shaping the landscape. 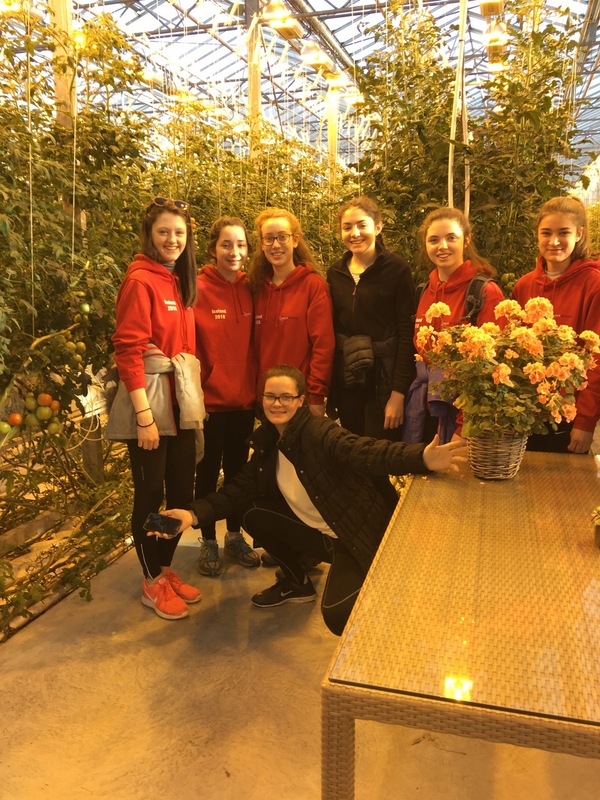 The final day consisted of a visit to the Friðheimar greenhouse cultivation centre, where the girls learned about growing pesticide-free tomatoes which are cultivated all year round using geothermal heating. 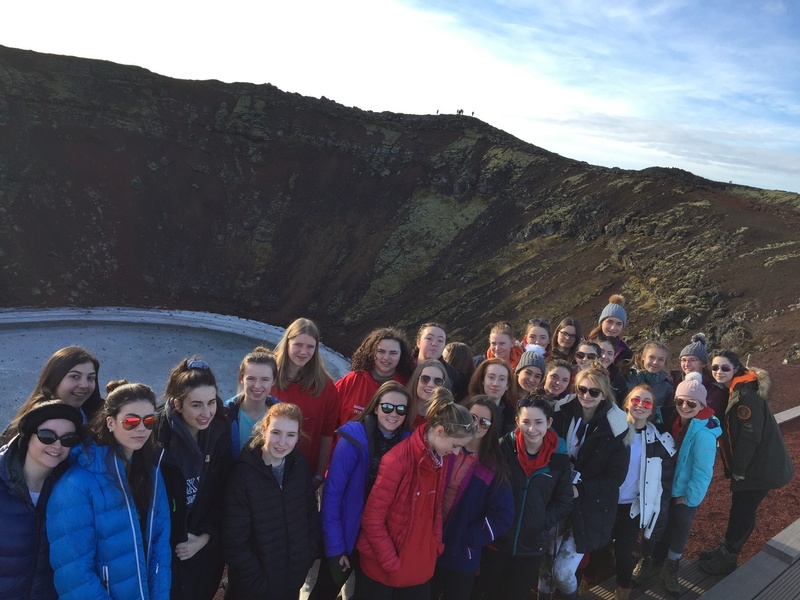 They also visited the Hellisheidi geothermal plant which provides electricity and hot water to the city of Reykjavik. 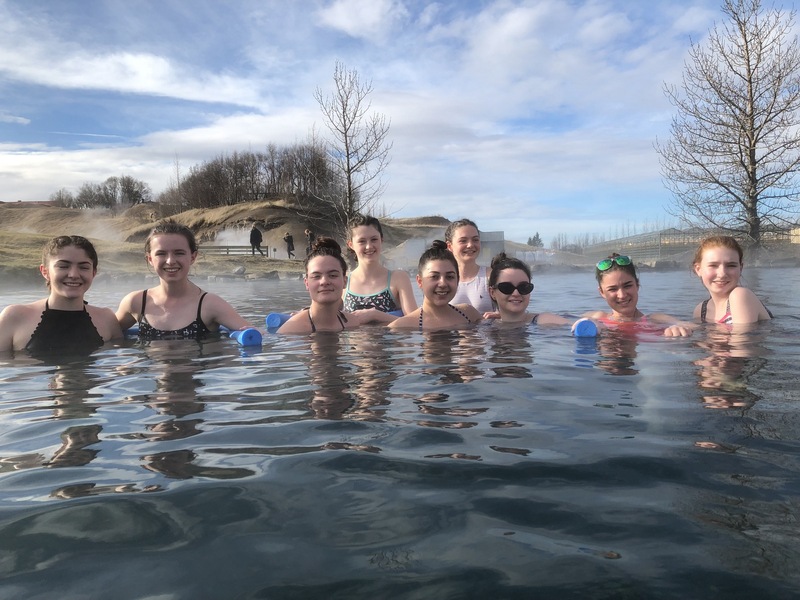 Sadly their northern lights tour ended with disappointment as the elusive Aurora Borealis requires the perfect celestial conditions, however we still managed to have fun on the beach and were treated to a moon halo. 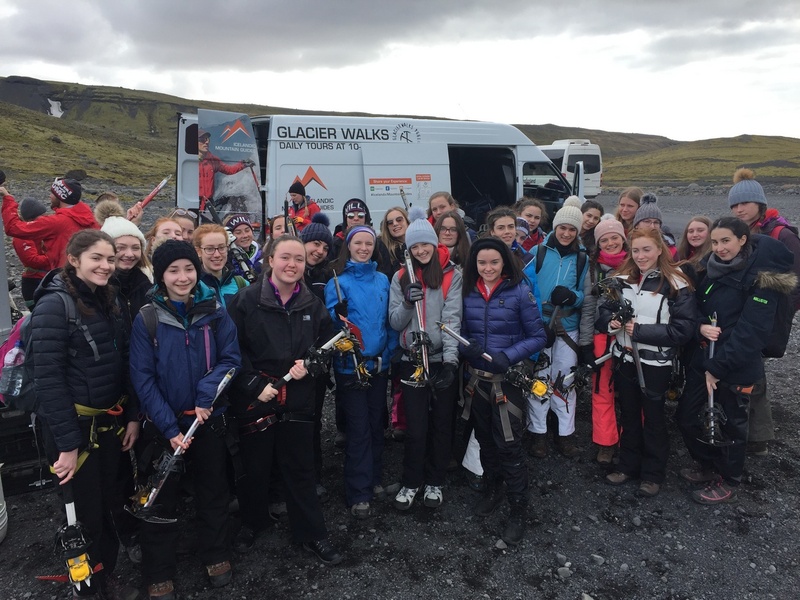 During the trip, the weather was uncharacteristically glorious, with blue sky and sunshine, giving the girls plenty of opportunities to enjoy outdoor picnics at some fantastic locations and they got stuck into all the activities Iceland had to offer with enthusiasm.